The word is that Bradford planing officers are going to recommend the council reject planning permission for a new madrassa at a meeting on Thursday. Over 100 letters of objection have been received from members of the public against the planned Islamic school at a former office. The letters of objection were for a variety of reasons including the close proximity to a pub and primary school which may increase tensions. The majority were traffic and parking reasons on an already busy road with traffic problems. The Muslims supporting the school claim traffic will not be a problem as parents will walk to school instead of driving making it eco-friendly. How many times have we heard that one before in regarding Mosque and Islamic school planning applications.Then as soon as its approved and opened , pure traffic chaos as Muslims dump their Nissan’s and Hyundai’s on double yellow lines ,in front of people’s driveways and double park without a concern for anybody else. A more worrying concern than the traffic is the what will be going on behind the closed doors. For many Muslim children especially the girls, mixed schooling is the only chance they will get to mix with non-Muslim Brits. At home they are only allowed out of the house if in the company of a related Muslim male. They certainly wouldn’t be allowed to go play out like any other kid and mix. In the pc world we live in where we are constantly told that Multiculturalism is the way to be etc. Muslim children being isolated hardly does much for future community cohesion. These madrassas are not schools like a C of E or Catholic schools are. Where the focus is on education and not religion. Everything about them revolves around Islam. Which as we not is not very compatible with present day life to start off with. The Koran is full of false science and untruths that Muslims still believe to be true because their holy book says so. As the Dispatches TV program exposed when they went undercover in a madrassa. The religious teachers in them were telling the children non-Muslims are animals and other malicious stuff. Until we have ex Muslims to monitor Islamic schools and Mosques that know the language and Islamic terms to make sure all is above-board. There should be no more new ones allowed. More than 100 people have objected to plans to turn an office into a madrassa for 200 children. 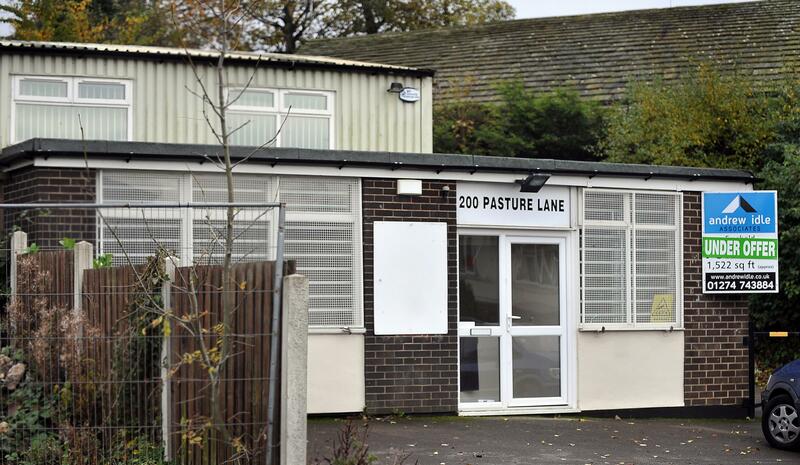 Planning officers will recommend that Bradford Area Planning Panel rejects the scheme, proposed for 200 Pasture Lane, Clayton, when it meets on Thursday. Parish council chairman Jean Pitts said the recommendation would be welcomed by those who are worried that the religious school would cause road and parking chaos. She said she hoped councillors on the planning panel would put a block on the bid to open the madrassa in Pasture Lane, close to the junction with Clayton Road. Coun Pitt said: “The objections were overwhelming from people who live locally. The traffic is quite horrendous coming down Pasture Lane and there’s no particular parking for the site. A blind corner was another of the concerns parish councillors had. In the past, a car sales garage had been rejected by planners because of the number of vehicles it would attract. Objections from others included fears its location close to a pub would cause trouble, that it was less than 50m away from a primary school, increased tension in the area because of traffic and parking issues and an adverse effect on air quality. Letters supporting the application said because it was close to houses fewer cars would need to be used which would reduce the environmental impact. Supporters also mentioned the benefits of having a place for children to learn, to the advantage of the community. The reasons refusal is being recommended are a lack of turning space for parking cars, a risk that cars would have to park on, reverse into or out of Pasture Lane near a blind corner and that pedestrians could be put at risk if cars parked on pavements. The report also noted there had not been enough information given on a travel plan for pupils and how traffic would be controlled using such measures as yellow lines and zebra crossings. Dhaka (AsiaNews) – In Bangladesh, Christian children from Tripuri tribes have been taken away from their villages and forcibly converted to Islam. Local Catholic sources, who asked their names be withheld, told AsiaNews that almost 300 children have been taken to madrassas (Islamic schools). Their days included Arabic lessons (8-12 AM), Qur’an reading (Nurani Shikkha, 2-5 PM) and five daily prayers. The girl’s rescue was a bit more complicated. She was saved only after another girl escaped and told people in her village what had happened. The girl’s parents then contacted the madrassa huju or teacher asking him to let her go. The latter said the father had to come and get her. via BANGLADESH Almost 300 Christian children abducted and forcibly converted to Islam in Bangladesh – Asia News.